The Holiday Season is fast approaching when we here Christmas songs being played in the radio. And I like listening to both classic and modern day Christmas songs. My all-time favorite is Oh Holy Night. O Holy NightOh holy night! The stars are brightly shining, It is the night of the dear Saviors birth.Long lay the world in sin and error pining, Till He appeard and the soul felt it's worth.A thrill of hope the weary world rejoices, For yonder breaks a new and glorious morn.Fall on your knees! Oh, hear the angel voices!Oh night divine, Oh night when Christ was born; Truly He taught us to love one another; His law is love and His gospel is peace.Chains shall He break for the slave is our brother; And in His name all oppression shall cease.Sweet hymns of joy in grateful chorus raise we, Let all within us praise His holy name.Christ is the Lord! O praise His Name forever,His power and glory evermore proclaim.Fall on your knees! Oh, hear the angel voices!Oh night divine, Oh night when Christ was born; Oh night divine, Oh night, Oh night Divine. I also love that Christmas song especially after it was sang in the Korean movie "Miracle in Cell no. 7". After I watched that movie, this song becomes significant for me. However, my all time favorite Christmas song is "Sana Ngayong Pasko" a Filipino Christmas song. It really touch my heart everytime I hear this song. That's really a good song, it always break ny heart whenever I hear that song. I fell in love with that song when I heard it sang from the Korean movie "Miracle in Cell no. 7". It was a heart warming song and the melody will truly melt your heart. It feels like you are hearing angels' voices. Songs can bring sweet memories. They actually push as back in our times. They may make us babies and we recall all that happened that time. Christmas is here with us. True, it has a nostalgic effect. Yes, it always reminds you of things before. Wow! That is a really nice song. But for me, it is Star ng Pasko. This was the song for the Christmas Station ID of ABS-CBN in 2009 and I still love this song. I always play this song every year. There is a lot of Christmas Songs that I like but this song has something that will really touch my heart. I just listened to it. Wow! You're right. I'd have to say that this is one of the best Filipino songs about Christmas. The whole arrangement is light and memorable. It's so sweet and appreciative of the life given to us by God. I agree with you, it's been a long time since that was the station I.D of abs-cbn and until not I still like it, best station I.D they have written. You are right. Every year, ABS- CBN has a new Christmas station id. But this song is still the best. This is one of the songs that I play every year. I always make sure to have it on my playlist. I am glad that you listened to it. That song is really meaningful. The melody and lyrics are just perfect for Christmas season. I think that is the Filipino Christmas song that will never fade. For me, it is the best station I.D they have, so far. Oh my God hahahah. It's an all time favorite christmas song. Almost all malls and stores play this every christmas. The lyrics is such an art and the melody is unforgettable. It's the best christmas station ID of abs-cbn, I don't think that they could make another song that could beat this. This is sensational, I won't ever forget this song because it brings me back to my elementary days when everything is fun at school unlike in college, no fun just full stress. You are right! I believe that this is the best Filipino Christmas song of ABS-CBN and I agree with you that they cannot make another song that can be better than this. I think this song will stay even after many years. That is a very classic song of Abs-Cbn. Actually all of their Christmas songs are very remarkable. Though you may hate the network sometimes, no matter how you hide it, you really can't deny that they are good at producing Christmas station ID's. This is the best station I.D of Abs-Cbn, for me. ABS-CBN is one of those organizations who strive for perfection. I know a few employees of them, and they are all in someway perfectionists when it comes to things, though I'm not a fan of their news department. I am not bias but for me ABS-CBN Christmas station ID is incredible. They always have the best Christmas Station ID in the country. They will always give you goosebumps especially that 2009 Christmas Station ID when I heard it sang by the Israeli students. I was proud to be a Filipino. This is such a wonderful song. "Sana ngayong pasko" touched every filipino's heart. Because of that song, we have learned to realize and appreciate more of our OFW's sacrifices in order to help their families. This song has a special meaning for me and my kids. It was many years ago when my husband decided to work overseas. And we were both lucky and unfortunate enough that he got to leave earlier which was a couple of weeks before Christmas. It was the first Christmas that the kids and I would be spending without him. Every time my daughter heard this song she'd be hiding in a corner and cry her eyes out because she misses her daddy. It is really hard to be separated from your love ones when it's Christmas. I also experienced the same thing and Christmas was not complete if my family is not complete also. Truly a song could mean a lot to a person when they had experienced the song itself. My forever favorite Christmas song is the one that we sing when we do carollings. "We wish you a merry Christmas" will always be my favorite. Why? It is because after singing it, you'll know that you'll surely get something good. This one is classic, it's always what the kids sing if they are caroling. I remember we always sing this when we go caroling. It really was a nice experience to go caroling with your friends. A very memorable experience especially when a dog comes running after you. You and your friends would run in different directions. Yet even catching your breath, you go sing to the next house. Kids in our neighborhood seldom go caroling anymore. True. I remember my days singing this song. I also remember when a dog ran after us when we were carolling. I was almost left behind. Haha. Just can't help but remember those times when I hear this song. OMG same here, we've been chased by dog once too. Hahahaha for this one I think I will have to go with the most famous on this sides which is jingle jingle. I always here this every day because of the kids who goes caroling. Yeeeah teeah my friend. It is never a complefe Christmas for me if I have not yet heard this song anywhere. Well, O holy night sung by Mariah Carey is one of my most favorite Christmas songs. The song is definitely one of the most popular classics of all times when it comes to celebrating Christmas. The Lyrics and the words of the songs are very effective and certainly have a magical effect on the audience when it is sung beautifully. I love that song too, I feel like so much emotions are churning up in me whenever I hear that. Same here, it is really a great Christmas song. That's such a very beautiful song and hard to mess up with when you're doing carollings with your friends. I agree with you, it is indeed a nice a song. I like that version, too. I also like Jungkook's version. There is something about his voice and style of singing that makes it sound special. Nice one my friend. I do love this carol it is one of those that I sing with a passion when I find the opportunity to do so. I particularly love this song. It is nice of you to have the lyrics on here. We have this choir back home that often interpretes this piece on Christmas eve. The feeling you get from listening to them is the feeling (i think) one gets when they're surrounded by a host of singing angels. Think I'll go find an mp3 of it online and take a listen. I've always wished to be part of church choir since I was a kid but sadly I don't have a great voice. Honestly I'm a modern Christmas song lover! My favorite is probably All I want for Christmas is you, by Mariah Carey. She has an incredible voice and that song is a modern Christmas classic now! I also love a lot of Michael Buble stuff! That's really a good song, I remember I used to dance that song back in the days. It's definitely a more upbeat Christmas song! I prefer catchy Christmas songs with a faster pace than the slow traditional ones. Yes, because it sounds so happy, and Christmas should be happy. "... We wish you a merry Christmas, we wish you a merry Christmas, we wish you a merry Christmas and happy new year... "
is a very common Christmas song that is very popular and familiar to even kids or children all over the world. In as much as the song is old, it's still never fades. We wish you a Merry ChristmasWe wish you a Merry ChristmasWe wish you a Merry ChristmasAnd a happy new yearGood tidings we bring to you and your kinGood tidings for ChristmasAnd a happy new yearOh, bring us a figgy puddingOh, bring us a figgy puddingOh, bring us a figgy puddingAnd a cup of good cheerWe won't go until we get someWe won't go until we get someWe won't go until we get someSo bring some out hereWe wish you a Merry ChristmasWe wish you a Merry ChristmasWe wish you a Merry ChristmasAnd a happy new yearWe wish you a Merry ChristmasWe wish you a Merry ChristmasWe wish you a Merry ChristmasAnd a happy new yearWe wish you a Merry ChristmasWe wish you a Merry ChristmasWe wish you a Merry ChristmasAnd a happy new year! We wish you a merry Christmas and a happy new year is one of my favorite Christmas song. It's always the ending song for caroling. I really like that song. This song is the first song usually sang first by kids when they do Christmas carols in our house. Maybe times are changing, and I don't see kids in our place anymore doing this tradition. But we get a lot of visits from them during the Christmas day itself. This song is such a very common and trendy song for Christmas parties. Little kids and even adults prefer dancing to this song and have fun. My favorite Christmas song is Christmas in our heart by Jose Marie Chan. It is quite popular in our country and it is really a good song, and Jose Marie Chan is really a good artist. Haven't heard of this one before - I'll have to look it up on YouTube and see if I can find it. That's one benefit of the online world, you're able to find and enjoy a whole bunch of Christmas songs that you may have never heard before! It is really a good song, it is so popular in our country. I like listening to Michael Buble's version of Santa Claus is Coming To Town. I really love his voice and his jazz rendition of the song. I can listen to it all day long. Michael Buble is a star! I love all his Christmas covers and he even has some great Christmas originals. That jazz makeover he manages to give to a lot of traditional songs really brings them into the modern era! I agree. I think everything he sings sound amazing. But his voice and style really suits Christmas songs. Love this song too. I always sing this song to my parents because my father acts as Santa Claus when I was a kid. Every Christmas Eve, he will fill our socks with candies and chocolates. Christmas is a special occasion that I really look forward. I don't know if it's just me, but I like classic and old songs during Christmas. I seldom get in tune with new tracks that networks usually release during this season. My all time favorites are Give Love on Christmas day by Jackson 5 and Christmas in our Hearts by Jose Marie Chan. My favorite classic Christmas Song is Hark The Herald. I love that Jackson 5 song too! It's such a happy and upbeat song but still has an important message which is always a nice thing to get from a Christmas song. It really is. And the best part is, it never really gets old. The kids love them too! I love that too. I used to listen that every Christmas. The song is very happy to listen. You gonna have an eargasm for sure. 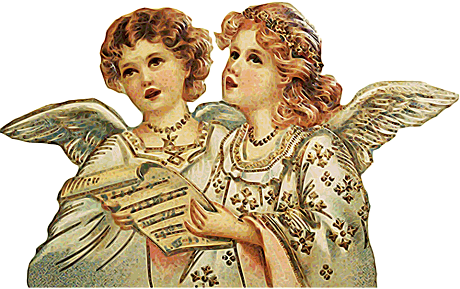 Hark the Herald, Angels Sing, is one of the most loved Classic Christmas Songs. I love the way Celtic Women sung it in Ireland. Here's the YouTube link. I remember that song. My teacher in grade school taught us that. We kept on singing it over and over again. I loved the lyrics and the harmony of that song. It is very positive and you feel the Christmas is really coming so soon. I really love this song. This song is what brings nostalgia to my Christmas. It reminds me of how we used to sing this as a family. They have mesmerizing voices. They sound like angels! I love the way they sang this song, it's so peaceful and comforting. Their voice sounds so perfect together. Thank you for sharing this video. Every time Christmas is around the corner, I get a nostalgic feeling specially when I'm hearing any Christmas songs that was being played in radio's, malls, restaurants etc. Memories of childhood when I was still doing Christmas carols and singing the song "Christmas in our Hearts" in our neighborhood and giving money in exchange. I used to have their Christmas CD called Snowed In when I was younger. Loved it...might need to see if I still have it somewhere. They actually had a lot of good Christmas songs, both cover versions and their own originals! I realize am in Christmas when I hear the song Feliz Navidad. That song brings Christmas to me. I love it and fills me with nostalgia. My favorite of all time Christmas song is. ".. Silent Night... Holy Night.. "
Once I hear this song, I'm filled with the joy and happiness of Christmas season being upon us once again. Feliz navidad is almost always played in Christmas party here in the Philippines. It is like the party song during Christmas season. Feliz Navidad is a beautiful song which is such a classic. It's lyrics are just so "Christmassy" if there's such a word. Feliz navidadFeliz navidadFeliz navidadProspero año y felicidadFeliz navidadFeliz navidadFeliz navidadProspero año y felicidadI wanna wish you a merry ChristmasI wanna wish you a merry ChristmasI wanna wish you a merry ChristmasFrom the bottom of my heartWe wanna wish you a merry ChristmasWe wanna wish you a merry ChristmasWe wanna wish you a merry ChristmasFrom the bottom of our heartFeliz navidadFeliz navidadFeliz navidadProspero año y felicidadFeliz navidadFeliz navidadFeliz navidadProspero año y felicidadWe wanna wish you a merry ChristmasWe wanna wish you a merry ChristmasWe wanna wish you a merry ChristmasFrom the bottom of our heartWe wanna wish you a merry ChristmasWe wanna wish you a merry ChristmasWe wanna wish you a merry ChristmasFrom the bottom of our heartFeliz navidadFeliz navidadFeliz navidadProspero año y felicidadFeliz navidadFeliz navidadFeliz navidadProspero año y felicidadWe wanna wish you a merry ChristmasWe wanna wish you a merry ChristmasWe wanna wish you a merry ChristmasFrom the bottom of our heartWe wanna wish you a merry ChristmasWe wanna wish you a merry ChristmasWe wanna wish you a merry ChristmasFrom the bottom of our heartFeliz navidadFeliz navidadFeliz navidadProspero año y felicidad. I have many favorite Christmas songs, one of that is Mariah's All I want is Christmas is you. It is very good songs for Christmas celebration. This song is commonly sang in our youth group every Christmas and I can remember and confess that it's quite a lovely song that is composed for Christmas celebrations. Who doesn't wish for Christmas every end of the year in order to have lots of fun with family and friends? I bet that we all do. It's one of the best modern Christmas songs ever sung. And with Mariah Carrey's voice, it's perfect! More so if it's played outdoors. I love Christmas, it's legit my favorite holiday. As soon as the "-ber" month start I'd be singing Christmas songs the whole day! Now this is one of those hard questions for me as I do love a lot of Christmas songs and choosing a favorite is tough! But I think I'll go with Mary's Boy Child because it tells the story of the birth of Jesus. And Little Drummer Boy as well which is also another favorite but I need to stop or I'll be typing down everything! Now, people compose new Christmas songs every season. Gone are the days when we used to play one particular Christmas song over and over again and never get tired and bored of listening to it. So, currently it's more of what people wants to sing that they do every Christmas. That’s true - it seems like a lot of popular singers and bands even release Christmas albums as soon as the festive season comes around. I guess it’s smart for record sales! While there are many Christmas songs out there that I like (and I don't even celebrate Christmas), I'd say I like the old and most popular songs from this wonderful Holiday. It's the Jingle Bells. It just makes me feel so warm and comfortable. Remember the childhood, snow, games, gifts. Man, I miss it so much! I think my all time favorite Christmas song is titled as Christmas in our hearts by Jose Marie Chan. I like the song very much because it is very pleasant to ears and having a good lyrics because it sends a good message to everyone that will hear the song. It was all about celebrating Christmas which is the birth of our lord Jesus Christ. I can say that it was one of the beautiful Christmas song that was ever created because of having a very touching lyrics and message to all of us. I love, love, love christmas time. The hymns also never get old(maybe because we sing them only once a year and forget about them, Lol) I love O holy night but my best is silent night. I love silent nigh especially all the different versions that are put out by all the different artists. The best thing about Christmas hymns is that you know all the words all you have to do is wait for someone to give a re-mix or a different beat. Although I am not a Christian, I love the Jingle Bells song. It always has the warmth and joy whenever it is played during Christmas. When I was in school ,we were always excited about Christmas as it was vacations for us. I must admit that I have received the best education from the Christian school I was into. I would always remember that throughout my life. May the blessings of Jesus be upon everyone always. Merry Christmas in advance. Aside from the Tagalog Christmas Song, I also like the Song "Jolly Old Saint Nicholas".The lyrics and melody are just cool. I even like the version for kids and I also watch the video on Youtube. Mariah Carey's "All I Want For Christmas Is You" is all that's in my head right now. I can't think of a better song that heralds the season and evokes a merry atmosphere like this iconic single does. It showcases Mariah's talent while being fun, catchy, and very Christmassy! Oh, yeah, Mariah. Believe it or not, I always see this song posted on Facebook accounts of a few single friends of mine during Christmas. I guess it's a discreet way of saying they like someone but doesn't have the guts to tell them upfront. Haha! My favorite Christmas song is "Joy to the World". Whenever I heard this song, I felt like I am sharing the joy with other people. As if Jesus had asked me to give happiness and kindness with other people as the Christmas is coming near and near every day. I enjoy many Christmas songs. One classic I like is Jingle Bells. It gets you in that cheerful mood of celebrating Christmas with your loved ones. It's like you can feel the holiday vibes. Especially, because everyone knows the song. Though, few actually have the entire lyrics memorized. That one is a favorite in our house too. I think it’s particularly special because it’s loved by both the kids and the adults in our family. I agree. Sometimes a simple song can liven up the entire family. No need for long and complicated singing. What matters is that everyone can relate to the music. For religious hymns, there are many but for me “O Holy Night”, “Oh Come Oh Come Immanuel”, and “What Child is This?” are on the top of my list for the holiday season. For secular music, of course, at the top of the list is “White Christmas”. I only know Oh Holy Night from the religious music, but I think that song is quite popular even for people who aren’t particularly religious. It has a good catchy tune! Yes true. When I first heard the Holy Night song, I was enticed by its tune and melody. I remember I was still in grades school at that time when we were still in province. After I heard that song , I always played it especially when I heard Mariah Carey's version. It was the best version of Holy Night for me. I love Jose Mari Chan's songs. Everytime I heard his songs, I just remember my parents used to play Jose Mari Chan's Christmas song when Christmas was near and I am so happy that they always played those songs as I remember how happy we celebrated Christmas. I don't have one LOL. So, I'll tell you my most 'tolerable' and 'catchy' Christmas song. In my opinion, it's 'Rockin' around the Christmas Tree,' the 1987 version. Which is sung and performed by Mel Smith and Kim Wilde. That's a good Christmas Song with a rock tune. Here's the lyrics. White Christmas has a beautiful melody. I like the version sung by Bing Crosby the most. I also like the Christmas song tilted as Feliz na Vidad because it is very beautiful and very enjoying to have. The song is very lively and full of energy which seems like giving us the positive energy to keep doing great for the day. I like the song very much even though some of its lyrics are hard to understand but I find it cool and very entertaining. When I was in Junior High, they'd play Feliz' Navidad every Christmas at our class Christmas parties. My favorite Christmas song is Silent Night because it sounds very solemn and pure. Every time I hear this song I feel sleepy. It's a great song and is usually sung by people who do Christmas carols at our house. I also like 'Oh Holy Night' because the melody and lyrics are inspiring. When I was a child, I was only taught the first stanza of the song. When I learned the entire song in my adulthood, I realized that the other stanzas are even more meaningful than the first. We also sing it as one of the worship songs in church. Other than that, I usually hear and like Mariah Carey's "All I want for Christmas Is You". This song gets me playful and crazy and I can't help but dance and tease my son who seems to be annoyed when I do so. The supermarket chain near us likes playing this song repeatedly as soon as September 1st and this is usually one of the Christmas presentations in schools around us. Oh, what fun it is to ride on a one-horse open sleigh! Me too. Do you have the entire lyrics memorized? Most of us only know the chorus. We're quick to forget the other parts of this song. You can try it. See how others stop singing after the famous parts of the song. My favourite Xmas song is Mary's boys child by Boney M. It is an old song, but most of the Xmas songs were written and sung many years ago. I like it as it sings the son of God was sent to rescue the human race and the praise to the lord were so touching and meaningful to me. I feel like I owe the God so much for my very existence. Every time when i listened to the song, I started to cry. My favorite Christmas song is our local song Christmas in Our Hearts sung by the legend Jose Mari Chan. I love how the rhythm and tune is made and what I like the most about the song is that it is very Filipino that it describes how we celebrate Christmas in the Philippines. I keep hearing a lot about Jose Mari Chan in this thread but I hadn't ever heard of him until reading this thread. I looked him up online and it seems like he's very famous and popular in the Philippines. There must be many forum members here from there! Yes, he is. He was a famous singer back in the day, but his trademark are Christmas songs. You get to see him advertise a lot of products during this season. I also like his songs specially Christmas in our hearts which is a huge hit here. The lyrics of this song is so heart warming and it's melody is so soothing, that it quickly became a favorite Christmas song of Filipinos. Whenever I see girls and boys Selling lanterns on the street, remember the child in the manger as he sleeps. Wherever there are people giving gifts exchanging cards, believe that Christmas is truly in our hearts. Let's light our Christmas trees for a bright tomorrow, where nations are at peace, and all are one in God. Let him be the one to guide us as another new year starts, and may the spirit of Christmas be always in our hearts. In every prayer and every song, the community unites, celebrating the birth of our savior Jesus Christ. Let love like that starlight on that first Christmas morn, lead us back to the manger where Christ the child was born. So come let us rejoice, Come and sing the Christmas carol with one big joyful voice, Proclaim the name of the Lord. Yes, he seems to be a popular person during holidays. His voice is very cool and melodious. I really enjoyed hearing his songs. It brings us back to simple times of joy and cheer. Please check him out on YouTube. That's a really nice song. I just listened to it a few days ago. It really makes you think about Christmas time. No wonder everyone plays it a lot. It's probably a classic. I can't chose which among the christmas songs I loved the most. Most it just uplift my mood whenever I listen christmas song especially x-mas carols. Christmas is near. I love christmas songs.And here in Philippines, you'll know when christmas is coming. Because when you go out for a walk. You can hear Jose Marie Chan's song all over. Corner by corner in every street. Now even shoppee makes him their indorser this coming christmas. I also like the silent night Christmas song because it is very peaceful and very clam, it is good to ears and I feel like I am floating in the wind whenever I am hearing such Christmas song. I really like its lyrics because it gives a very good and interesting message to everyone. I don't have a favourite Christmas Song but O Holy Night is definitely one of the songs that I love to listen during Christmas as I am very used to hearing it since Childhood. My favourite version of that song is Mariah Carey's. Absolutely, Jingle Bells. Inform me who can spend their Christmas Day without singing this excellent-known Merry Christmas music? I guess likely only the person who comes from different planets and doesn't have the Christmas tradition can't sing this song. The one that I can say best song they play every this kind of season is the song "Last Christmas" by George Michael. Its not really the lyrics about but I guess the music video and the tune that really stays in my mind. I know for sure, If I hear this song again on radio, its will give me like we used to call it "LSS"(Last Song Syndrome) again ahaha. It will play to my mind the chorus again and again for a day or two. One of my fave, it is sad sing tho but it is really iconic. I would not count many of these as carols, but enjoy . I post it because there is no particular favourite carol of mine. What I can tell you is that I have a hate. I have even complained in a shop about it. If anyone plays "It will be lonely this Christmas without you" anywhere, anytime, they are likely to hear me scream. I also like the Christmas song called Santa Claus is coming to town because it is very cool and interesting, I like the melody of the song because it makes me feel alive and relax for a while. The song brings joy and a feeling of comfort whenever I am hearing it. It is really beautiful and worth it to have. I just read your comment, and it made me google that song actually. Now I can't stop listening to it. Previously I claimed to like Jingle Bells only, but now I like this one as well. It's good to have many favorite songs. Variety is always good in this matter, especially during Christmas mood. I love that song too, it is joly and make your head bob. It's a happy song! Oh man, there are so many lovely Christmas songs that it’s hard to choose just one. Chestnuts Roasting on An Open Fire sung by Nat King Cole is the first one that comes to my mind. I have such fond memories of spending time with my family and listening to that song on repeat. Honestly, just listening to it right now brings tears to my eyes, as it just overwhelms me with so many emotions and memories that I’ve made with that song acting as the soundtrack to them. The First Noel is another one that brings up a lot of emotions. Wow, it is the first time that I head of that song, I am curious I am going to listen to it later. If you’re not from America, I can see how it might be your first time listening to it. That being said, in the United States it’s one of the most classic and popular holiday songs, and it’s been so for decades now. In America, Chestnuts Roasting on An Open Fire is considered to be one of the definitive holiday songs, right up there with international classics like Jingle Bells or Silent Night. Once the holiday seasons comes along, you’re guaranteed to hear it everywhere from street corners to super markets. I never did like this song initially until I saw some kids sing it. The way they did it was just so cute and every time I hear it, I can't help thinking about them kids. Funny how at times it is people who will influence your feelings towards something. I also remember the Joy to the world song because it is also one of my favorite and I find it to be cool and very calm. It seems like I am having a peace of mind whenever I am hearing such songs. It is very lovely and good to ears, I cannot resist myself to sing whenever I am hearing such song, It is really great and very relaxing. My All-time favorite Christmas song is Joy to the world. I am joyful because of the birth of our Savior Jesus Christ. i love to sing this song. I think I like the song of Jose Mari Chan. I can always hear that song when I go shopping in malls. It has lyrics that goes like this, lets sing merry Christmas and a happy holidays, etc. I think that it is now time again for Jose Mari Chan Christmas songs to be heard from radio stations and other social media sites because it is now Christmas. I love to hear his songs because I can really feel the essence of Christmas, the sweet sound music that it gives and the good atmosphere that I feel which is a cold weather which is really one of my indication that it is now Christmas days. All I want for Christmas and It Feels like Christmas. My all time favorite Christmas song is silent night. I can just feel the spirit of Christmas by listening to that song alone, it's so holy and I just love it so much. All I want for Christmas is you and It feels Like Christmas. I like, Hark the Herald Angels sing. Glory to the new born King. Peace on earth everyone. I think I also like the Christmas song titled as 'Joy to the world" since from the title itself it signifies a good message to everyone and I honestly like it because of its very good music and melody as well. The song is really classic which makes it more attracting to have and played it over and over again in my mobile phone. What is your favorite audio editing software? Do you have a favorite color when designing for the web? Do you have a favorite yogurt?